The President, Sports Writers Association of Nigeria (SWAN), Honour Sirawoo has called for the inclusion of Shooting Sport as a competitive event in the National Sports Festival. This is just as over 50 sports journalists from across the country have issued a communiqué calling for better recognition for shooting sport in view of its medal haul in international sports competitions. The SWAN President spoke at the closing ceremony of a four-day Media Shooting Sport and Workshop in Abuja organized by the Nigeria Shooting Sport Federation (NSSF). While reiterating that Nigeria must pay attention to other sports, he called on administrators to emulate the NSSF in organizing workshops and seminars for sports journalists, who he says are the platforms upon which talents are discovered and nurtured to stardom. Sirawoo commended the NSSF for its pioneering role in bringing sports journalists up to date in the technicalities of the sport, in addition to training them in the art of shooting sport. Also speaking, the President of Nigeria Shooting Sport Federation, Brigadier General Lonsdale Adeoye (Rtd) commended SWAN for partnering with the federation to give the sport a lift and also make it more popular among Nigerians. He advocated more support for shooting sport, saying apart from its medal haul prospects, it was capable of putting Nigeria on the map of shooting sport nations. 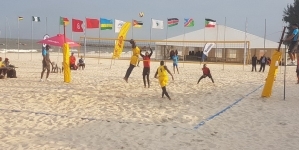 While assuring of maximum cooperation with the NSSF in reporting the game and creating the required public knowledge and awareness about the sport, they called on other sports federations to emulate the NSSF in organising similar training and workshops for sports Journalists in order to achieve the tripod of sports development (administration, participation and promotion) in the country. 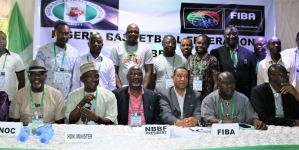 They also decried the non participation of Shooting sport in the National Sports Festival (NSF) and call on the Federal Ministry of Youth and Sport development to see to the inclusion of the game in subsequent festivals, while calling for the upgrading of the Nigeria national shooting range facilities and organization of regular competition across the country.